On behalf of the entire SE Minnesota EMS Region, we would like to extend our most sincere sympathies to the Ostrom Family on the loss of Eric. We thank Eric and his family for his service as an EMT and Firefighter for the communities of Preston and Fountain and also for his service to our Country. 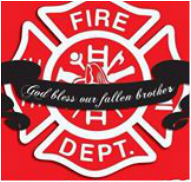 The thoughts and prayers of our EMS and Fire families are with the Ostrom family, friends and co-workers at this most difficult time.